Your body, my body, the body. Admittedly, I never gave my body a second thought for most of my life until it stopped me moving forward and brought me to my knees with pain and nausea. In fact, it brought me to my knees daily for many months, day after day after day. I was diagnosed with Functional Dyspepsia and felt I had to accept that this was what life had planned for me until I started to listen and realised healing your body is an inside job. 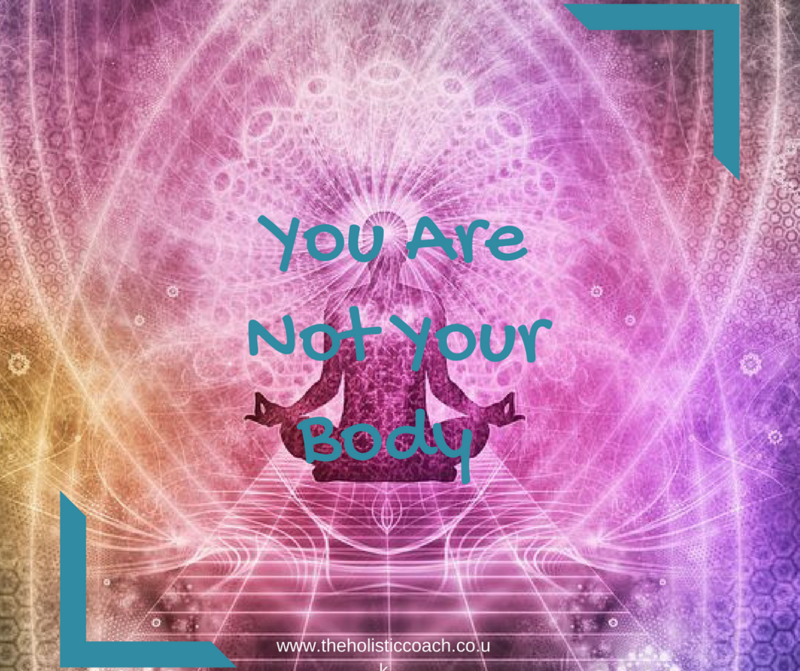 I used many wonderful modalities to manage symptoms but never really reached a pivotal healing point until it became clear that I am not my body and you are not your body. Your body serves as a wonderful vehicle but it is not who you are. Your body is precious and one thing I know for certain is that you cannot hate your body from illness to wellness you have to love it, nurture it and nourish it. Every night I give thanks to my body and for everything that it has supported me to achieve that day. I had a choice and I chose to listen to what my body had to say and my inner wisdom. I still have days where I am not in alignment with the wellness but I make a choice to slow down and be grateful and take self-care seriously without feeling guilty. Your body is a great vehicle that can and will carry you to greatness if you listen and meet your body’s needs because you are not your body.